For engineers and operations managers in the oil and gas industry, maximising production and minimising downtime is the primary objective. Every day yields new operational and infrastructure demands. Particularly while the industry is facing weakened oil and gas prices, finding ways to reduce costs and extend the lifecycle of structures and equipment is critical. Flash rust and corrosion can lead to considerable expenses for clean up and repairs, as well as lost revenue from non-productive time. 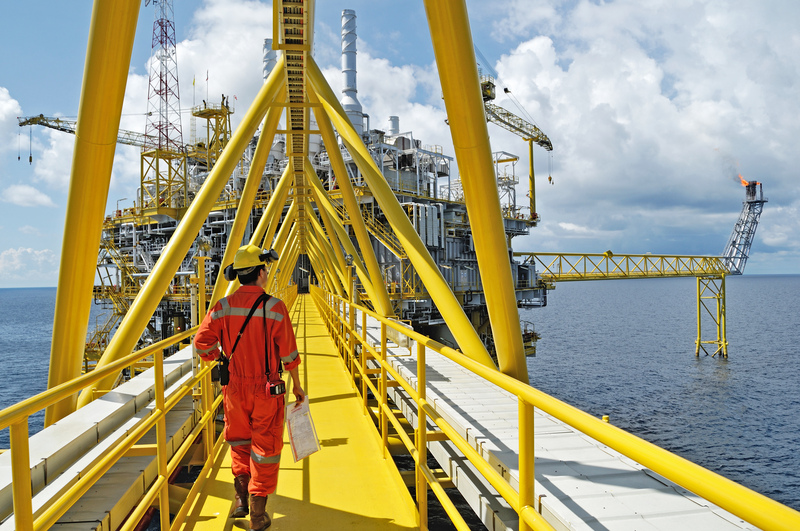 These issues can go from costly to potentially deadly as many offshore incidents result from neglecting proper maintenance. A recent market study determined that the cost incurred due to corrosion globally is US$2.2 trillion, which is over 3% of the world’s GDP. With costs like these impacting operations, companies such as HoldTight are setting out to assist the industry by delivering quality cleaning and corrosion prevention solutions for the most challenging of environments. Fuelled by growing environmental concerns and stringent regulations, the new standards of maintenance, sustainability and technology have prompted a wider usage of salt removal and rust prevention solutions. In its 30 years of business, the exposure and environmental conditions that HoldTight projects are subjected to have changed dramatically. New challenges push the company to continuously evolve to deliver quality solutions. Its flagship product, HoldTight 102, is a wet-blasting additive that decreases the water’s surface tension, allowing it to get into the surface pores and remove all contamination, including salts, acids, abrasives, light oils and greases. It is also used in pressure washing after dry abrasive blasting and ultra-high pressure blasting. HoldTight 102 recently proved beneficial for two extensive projects in very distinct environments. The North Sea is regarded as one of the most challenging environments for oil and gas exploration and production. The severe conditions demand that corrosion engineers and safety managers mitigate risks through proper inspections and preventative maintenance. HoldTight 102 was recently successful on a North Sea project where grinded and purified glass was used as the abrasive in a wet-slurry blasting setup to which 2% of 102 was added for spot blasting. In that project, approximately 180 stainless-steel studs welded onto carbon-steel platforms, which had not been treated properly, were producing galvanic and under-creep corrosion. The project corrosion specialist reported that the product was very effective in terms of blast cleanliness, blast efficiency, as well as cleanliness retention (> 24 hours.). Results such as this yield a considerable impact for the North Sea project by extending the structural lifecycle and a strong return on investment for the company. On the other side of the globe, in the heart of the USA’s Permian Basin, engineers and operations managers face different environmental challenges with salt, rust and corrosion. Secondary containment systems and storage tanks are often critical for high-yield production in the Permian. HoldTight worked with a steel fabrication plant involved in manufacturing storage tanks in West Texas. The carbon steel used in manufacturing the tanks can be plagued with various contaminants such as grease, rust, cutting fluids and mill scale. Although it is thoroughly blasted by dry abrasive blasting technology upon arrival to the plant, the steel is prone to rusting during the time it is left unprotected and after being exposed to water in the final surface preparation stage. With the proper amount of HoldTight 102 added to the deionised water, follow-up testing confirmed that the steel was rust and salt/contaminant free. The additive increased the adhesion and lifespan of the coating, thereby maintaining the integrity of the steel, which is exposed to harsh elements in the Permian. HoldTight will continue to evolve as industry and environmental demands change domestically and internationally. In addition to HoldTight 102, its DeFelsko PosiTector SST testing device expedites surface testing and verifies the quantity of conductive ions on the surface. The company’s new thin film coating, HT 365, can be applied to blasted surfaces, preserving the blast and preventing flash rust and corrosion for up to one year. Although the challenges in the North Sea and the Permian are quite different, the bottom line remains that corrosion and rust can cause considerable damage to structures, resulting in costly repairs, expensive downtime, lost production and potentially catastrophic loss. By partnering with corrosion prevention experts such as HoldTight, companies can take a proactive approach to structural and equipment maintenance. Such a partnership supports a well-balanced and effective strategy for delivering on commitments to maintenance compliance and sustainability, whether your project is in the Permian, the North Sea or anywhere around the world. Ken Rossy is with HoldTight.